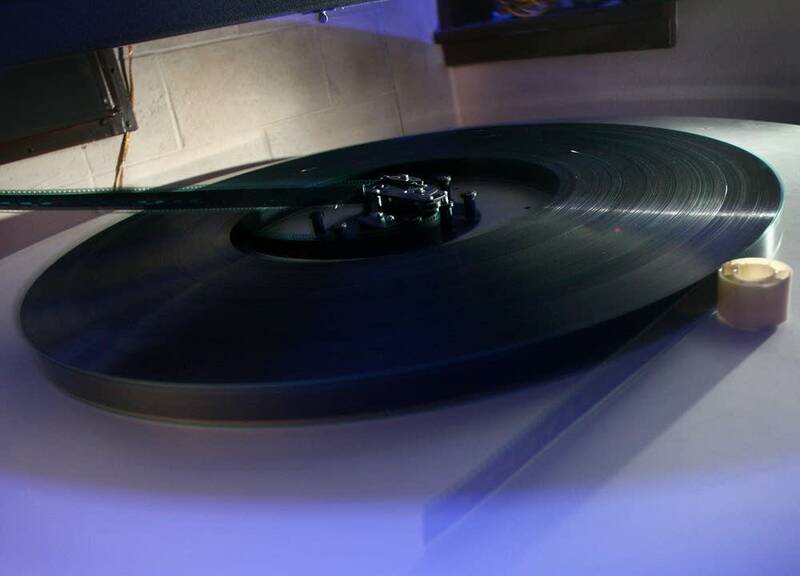 Minnesota movie theater owners are confronting a digital dilemma sweeping the industry nationwide: The movie industry plans to switch to all-digital technology by 2013, rendering traditional 35 millimeter film prints obsolete. 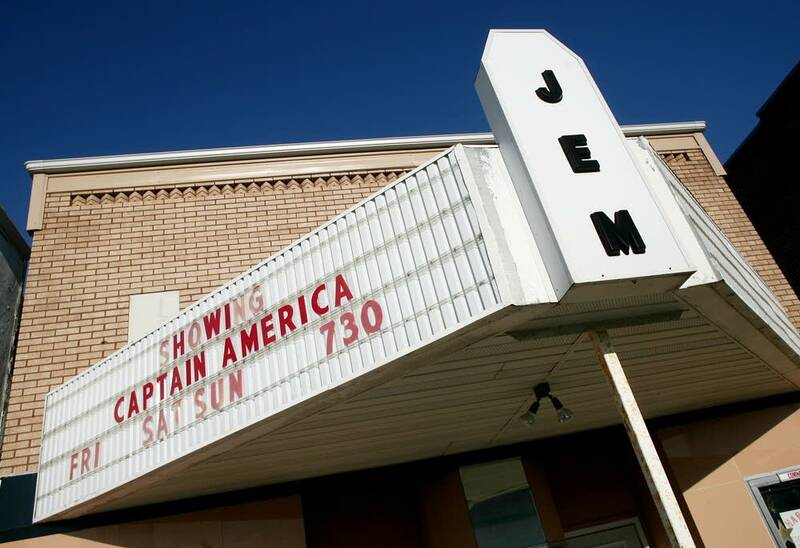 The JEM Theater in Harmony, Minn., is caught square in the middle of the squeeze. It's a bustling place that can seat one fifth of the residents of the sleepy little town near the Iowa border. Inside, a sort of modern-day town square played out on a recent Friday evening. While some locals caught up on the week's news, others brought their own buckets for popcorn. Admission is $4 and candy is never more than a dollar. Owners Michelle and Paul Haugerud describe the theater as a community hub. But as a business, it barely breaks even each year. Spending tens of thousands of dollars for a new digital projector is something they can't afford to do. "I'm not afraid to invest in something if I know there's a return to it. But in this case it's not an investment that's going to increase our revenue," Michelle Haugerud said. "It's not going to change our revenue whatsoever. It's not going to change the number of people that come." 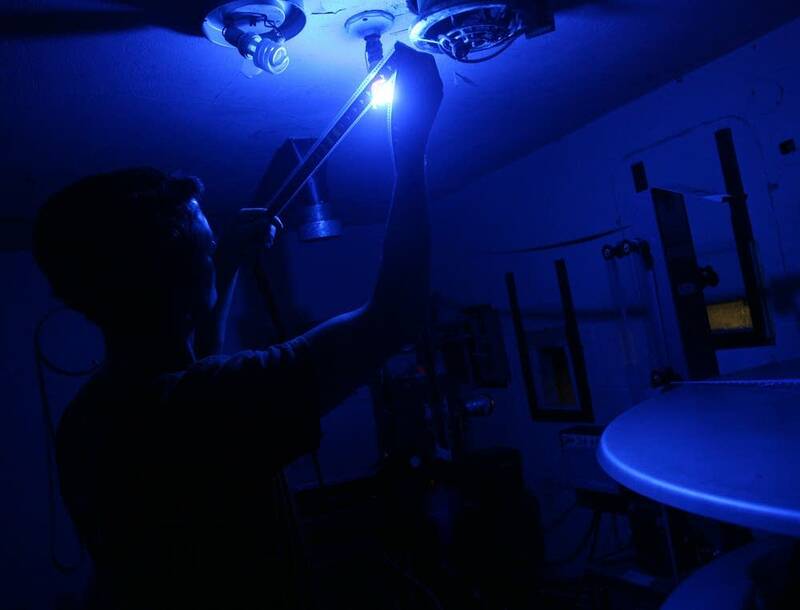 Upstairs in the projection room, Paul Haugerud talked about the challenge of loading the 35 millimeter film onto a massive turntable, and threading it into the projector. "Threading it up used to be a great source of anxiety," he said. "The first few weeks, I would, literally, sit there with sweat rolling down my face as I pushed the start button I'd be so nervous I did something wrong." Digital distribution will make this projector obsolete when studios ship movies on hard drives, instead of big reels. 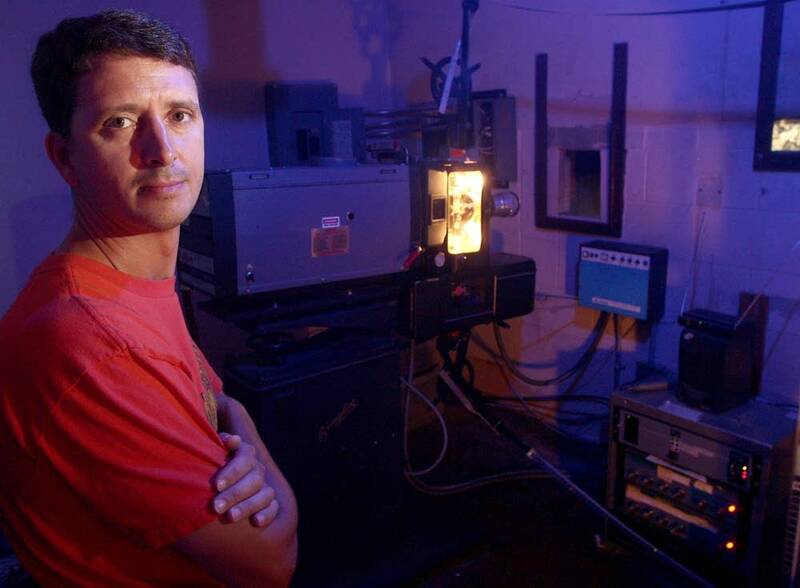 Haugerud sees the technology's benefit, but making a $75,000 investment for a new projector is intimidating for him and hundreds of other theater owners across the state. Like Haugerud, Mike Schwartz is wary of the digital return on investment. Schwartz owns the Historic State Theater in Jackson, Minn. He hasn't gone through with the digital conversion yet, even though he's already seeing changes in the availability of some films. "The more digital conversions there are, the less 35 millimeter prints they're going to make," Schwartz said. "So, in turn, us little guys, that's going to hurt. We're not going to be able to get the prints right away. Now they'll be 1,000 prints and we're all going to fight over it." Schwartz is raising money to pay for the projector. He wants to have it installed by next May. But others, like the non-profit Fargo Theater, haven't started making plans for the conversion. "It's talked about probably at every monthly board meeting, but it's just not a possibility for us right now," said Emily Beck, the theater's executive director. The online movie website Box Office Mojo estimates there are 219 theaters in Minnesota, comprising about 1,000 screens. Some are multiplex centers like AMC and Regal. But others are family-owned and have fewer than five screens. With box office revenue and admission down from last year, now is not a good time for a conversion, Beck said. She hopes the theater's niche gives them more time before the digital conversion affects them. "Independent films are going to go a little bit slower than mainstream films, you know, than the big blockbusters," Beck said. "As mostly an art-house theater, I think we'll have a little bit more time than the theaters that only play Harry Potter and Transformers and stuff like that." 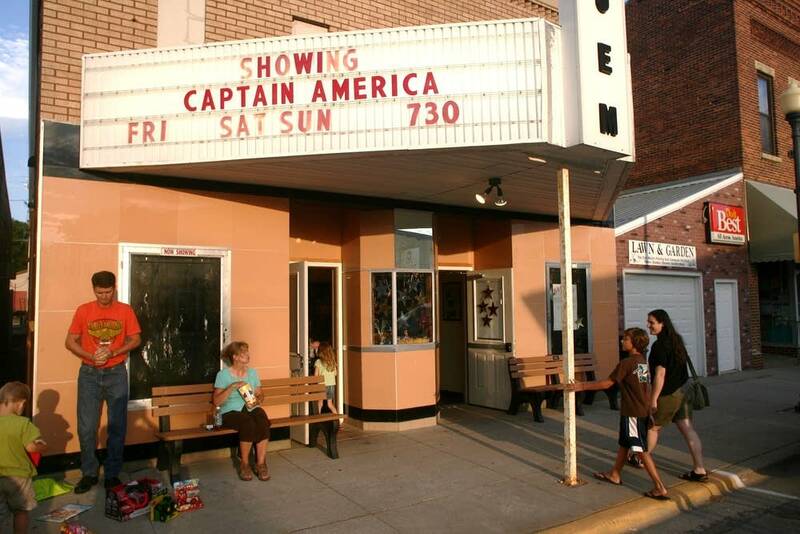 But at the JEM Theater in Harmony, it is those blockbusters that attract long-time patrons like Judy Underbakke, who came to see "Captain America." If the theater closes, other businesses in town will feel the impact, too, Underbakke said. "They're not running this theater to get rich. We all know that," Underbakke said. "But it's going to affect the gas station, these little restaurants in town. This community may not know it, but it will. It's going to have a trickle down effect." The Haugeruds know the clock is ticking. They've set up a trust account for the conversion fund. If they don't raise the money for the projector, they'll have to decide whether to play old films, rent the theater for parties or close their doors for good.